Manufacturer of mobile LED screens. With 11 years’ experience we know how to build mobile LED screens. We got over 90 satisfied customers who often bought other products. In the beginning we made over 30 fixed LED displays constructions. For now we made 175 screens on trailer, which we delivered to 29 countries. 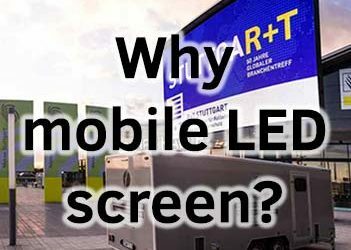 CE is a standard for our mobile LED screens. Also TÜV Thüringen and TÜV Süd certfied our products for German market. Trust the experience in LED display trailers manufacturing. Despite being easy to use, these units are not so easy to design and built. Every project is different as a result it requires individual approach. Throughout the years we’ve been dealing with many unusual orders. Therefore, we are now able to bring your most exceptional ideas to life. Years in display trailers business. Over the years we’ve gained massive experience in screens on trailer production. We’re not only manufacturing trailers but can also advise customers on which one will fit them most. Dozens of trailers already produced and numerous orders collected, as a result we are one of the world’s leading mobile LED screens manufactures. Countries where you can find our products. We sell our products worldwide. Most noteworthy, all units are custom built to meet local standards. Mobile LED screen for every event. 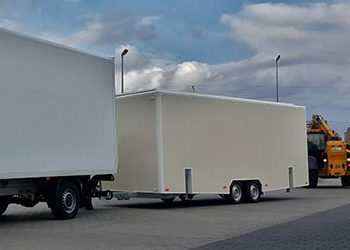 Open LED display trailer or mobile led screen with walls? Maybe looking for something bigger? LED screen in the container maybe worth considering. Variety of products gives you the ability to choose the one that fit you best. Above all, every screen is custom made to perfectly match your needs. PlatformLED – Simple to use LED display trailer. Almost unlimited possibilities to set up your screen. Lightweight trailer along with compact size gives you a big advantage over a traditional solutions. MobiLED – Mobile LED screen with walls. Enclosed design provides excellent protection during transport. We can equip this trailer with optional video room. Remote controller is available for convenient likewise fast operation. ContainerLED – Big screen transported by truck. LED display trailers for the USA market. Check out are trailers prepared for the North America. Two types of units currently available. Fully US DOT approved. MOVEit is a part of Screen-LED. It’s been created to design and built mobile solutions for variety of business. Our offer consist mainly of food trailers, underground garages likewise solar sontainers and more. Our company is based on a vast experience in special vehicle manufacturing. We approach every customer individually. Clients can actively participate in the process of design to make sure that final product will match their needs. Multiple companies around the world are already using our products. Every mobile LED display is designed to ensure reliability in any conditions possible. Countries where we sold mobile LED screens. Almost everywhere in Europe as well in Asia and North America. You can even find our products in New Zealand. Company originally founded in 2007. Since then we are constantly aiming to improve quality of our products and bring our customers the highest quality service possible. Radomir Doberstajn (CEO) founded Screen-LED company in July 2007. At the beginning, we installed fixed LED displays as a result we had 3 LED screens in our city. Finally we began to multiply their number throughout the country. In 2011 the number of fixed screens began to exceed 30. We have produced our first mobile LED screen. Then we have started to export it worldwide. We received CE and TUV Rheinland certificates. Also in this year we was created our first ContainerLED. Over 35 LED display trailers left our factory. We have started building new headquarter to improve production time and quality of the products. Finally we moved to a new headquarters. Over 145 produced mobile LED screens. We started expansion to the American market. Follow us on social media to be up to date with our latest products. Blog posts – latest news.